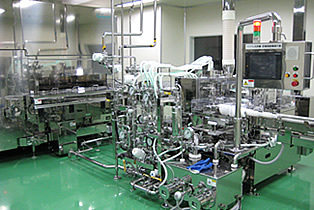 Pharmaceuticals｜Antibiotics (CMO business) Formulation Production Powder Filling Line 〜Vial Production〜 ｜API Co., Ltd.
We use an accofil model with a two-head filling wheel, enabling us to produce larger lots and to simultaneously fill two types of powders. 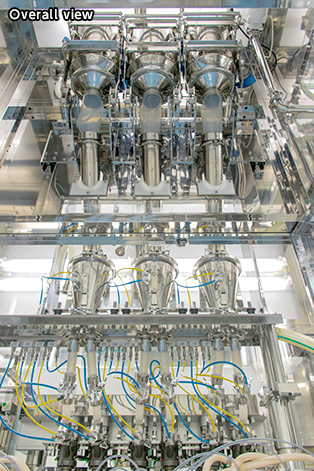 A decompression capper reduces positive pressure from gas generated when dissolving formulation. 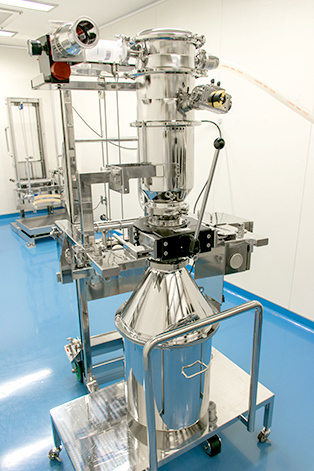 We offer sequence of process from vial's washing to sterilization, and drying. 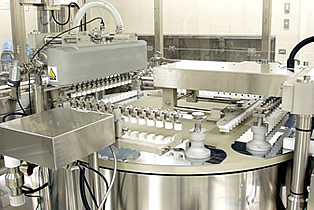 The filling machine having six heads auger is capable to produce up to 100 vails per minute. 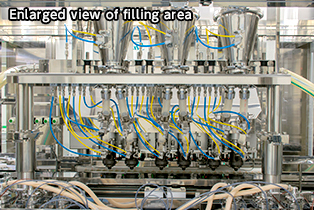 Filling amounts is controlled properly by IPC (In-Process Control). 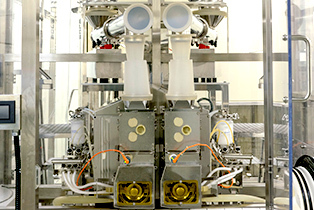 Pneumatic conveyor reduces the risk of contamination by workers when transporting drug powders during weighing and mixing processes.